Whether you’re a small business or a large organization, if you employ workers paid by the hour, you understand how important accurate timekeeping is to your company’s bottom line. Chances are you have implemented some form of a time tracking system whereby employees check in and out at the beginning and end of their shift. However, without a truly effective time tracking solution in place, your company could stand to pay out thousands or even tens of thousands in unearned payroll. ‘Buddy punching’ is when one employee punches in or out for a co-worker. Let’s say John’s car breaks down on the way to work and he knows he’ll be late. He calls his co-worker Rebecca and asks if she would do him a favour and sign him into the company time tracking system. It doesn’t affect her, and John’s a friend so she agrees – and John gets paid for being at work when he’s not. Then John returns the favour for Rebecca the following week and signs her our when she needs to leave early for a family function. In many cases, especially for larger organizations, supervisors wouldn’t notice one or two employees slipping in late or leaving a little early. If this happens on a daily basis with multiple employees, or even if it’s just one person a few times a month, buddy punching is time theft and it’s eating into your bottom line. The good news is that today there are easy ways to eliminate buddy punching and start paying employees for the actual hours they’ve worked, not the hours they claim to have worked. One of the most effective tools your company can invest in to combat buddy punching is to implement a Biometric Time Clock in combination with a robust time and attendance software solution. By having employees use their unique fingerprint, hand geometry or facial features to clock in or out, you have a virtually foolproof way to track your employees’ attendance accurately. Another affordable way to combat buddy punching is to implement a clear-cut policy regarding this time theft practice. In some cases employees don’t really think about buddy punching as a big deal, after all it’s only a few minutes here and there. But if your company spells out its policy against time theft and informs its employees of the consequences they’ll face if they ignore those rules, that may also go a long way to reducing the practice of buddy punching. Has your organization had a problem with buddy punching? What measures have you implemented to effectively deal with buddy punching? 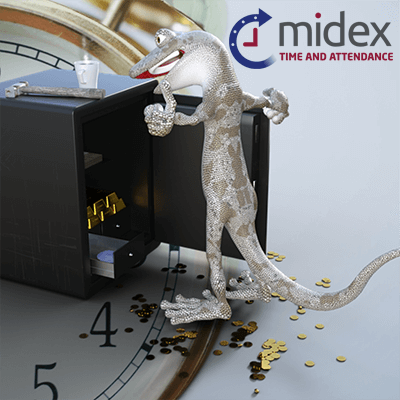 What has been the most effective solution to dealing with employee time theft? Connect with us on LinkedIn – for more time-saving workforce management tips, insights and innovative time and attendance solutions. What is “Buddy Punching” and how to avoid it? Fingerprint Reader Vs HandPunch →← Why do we offer a free Time and Attendance software?